This waterproof thermometer measures temperature over the range of -49.9 to 199.9 °C with a 0.1 °C resolution and features a max/min temperature recording function and at the back of the instrument a discreet °C/°F and reset button. 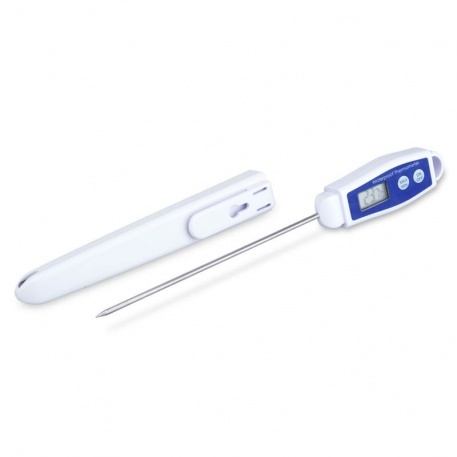 The waterproof thermometer incorporates a Ø2.5 x 122 mm stainless steel penetration probe and incorporates the latest microprocessor technology. It is designed for reliability and ease of use in routine catering, food preparation and industrial applications. 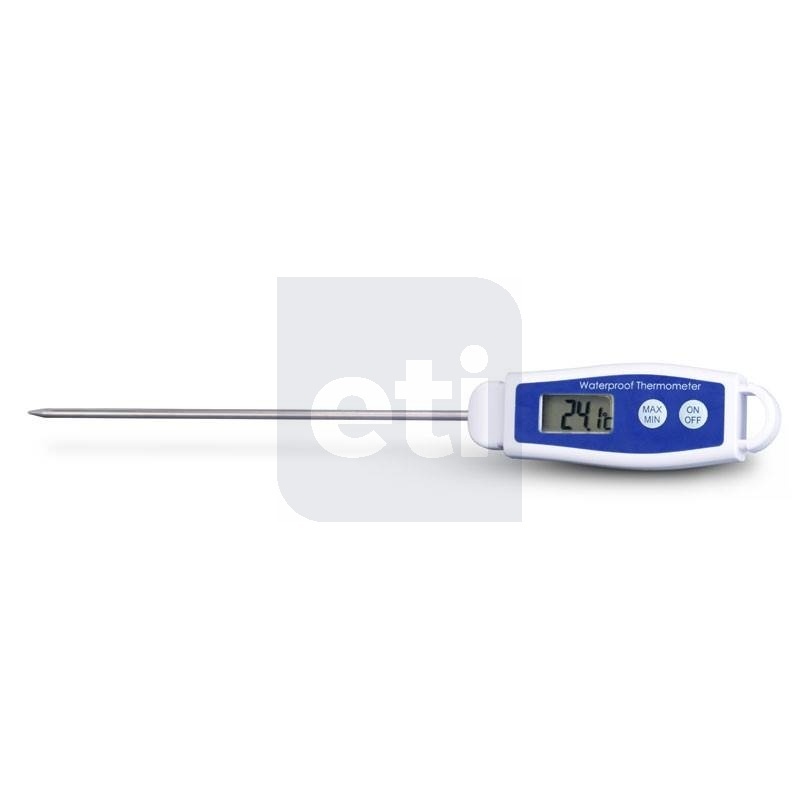 Each thermometer is supplied with a protective probe cover that incorporates a pocket clip and wall-mounting keyhole slot.